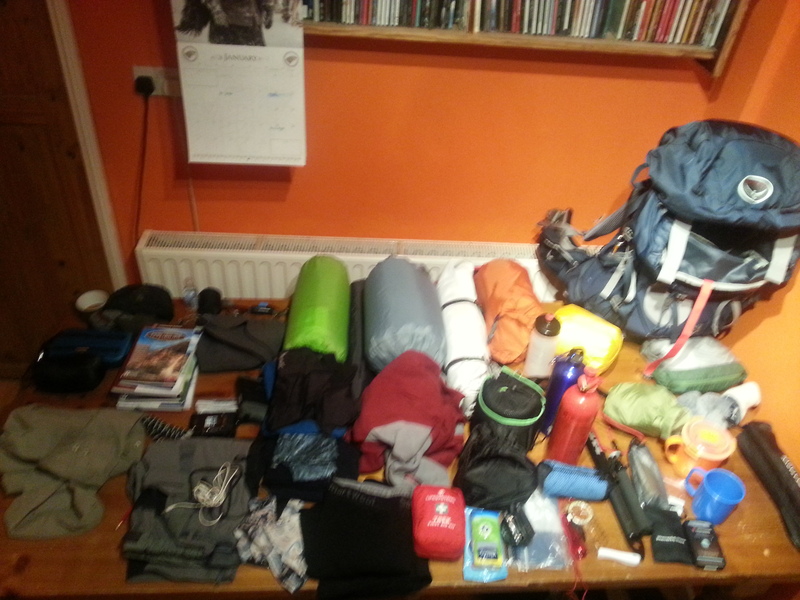 Wow it is almost April and the PCT is approaching at speed, Have I got all my gear? I am sure I am missing something! My weight is increasing. Well not my weight but my pack. I read a message from a fellow Hiker who said. Seasoned Hikers have all lightweight kit, I am somewhere in the middle. The idea is to have a low base weight. then you add all the rest. Scary! Do I really need it all? I really do not know. Well it is going to be I who has to carry it. I am sure kit will be sent home or replaced with different .But only when I am on the trail will I know. I also have what’s called a Bounce Box. This carries spare gear, maps, batteries, spares etc. Things you may need but do not want to carry and you Post or “Bounce” this up the trail. At the moment, it is filled with PG tips teabags. Well a chap needs his cuppa! Note to self:-I need to pare that down too to a realistic amount. The US post office lets you Bounce your Box or parcel up the trail for one payment of postage as long as you do not remove it from the post office hence the term bounce . Once removed you have to pay again.